#5: Flynn—aided and abetted by Kushner and the full Presidential Transition Team—illegally conducts sanctions and resolution negotiations with Russia during the 2016 transition. When asked about it by the FBI, he lies. When the lies are published, no one on the PTT corrects them. #6: Carter Page travels to Moscow under the guise of an academic conference—in fact, he meets with top Kremlin officials and top Rosneft executives, speaking with both about Russian sanctions just as the Steele Dossier alleges. When questioned about his activities, he lies on TV. #7: Trump campaign manager Manafort and Sessions aide Gordon aggressively push to change the GOP platform to benefit Putin under direct orders from Trump. When asked about Trump’s involvement, they lie to the media; when asked about their own involvement, they lie to the media. #8: Shortly after the inauguration, it’s revealed that Trump has been holding onto a secret plan to unilaterally drop all sanctions against Russia for months—a plan he’s never before revealed, which would *reward* Russia for cyber-attacking America during a presidential election. #9: When Trump learns the FBI Director plans to indict his ex-National Security Advisor, he fires him—first lying about his reason for doing so, then eventually admitting he did it due to “the Russia thing.” Later—in an Oval Office conversation with Russians—he repeats the claim. #10: In an Oval Office meeting into which no U.S. media are allowed (foreshadowing a meeting with Putin in which no U.S. translators would be allowed), Trump deliberately leaks classified Israeli intelligence to the Russians, who are allies of Israel’s (and America’s) enemy—Iran. #11: In late 2016, Kushner and Flynn smuggle Kislyak into Trump Tower to secretly discuss the creation of a clandestine—Kremlin-controlled—Trump-Putin backchannel only a few principals would know about. The men don’t disclose the meeting or plan, which would constitute espionage. #12: In May 2016, Trump NatSec advisor Papadopoulos makes secret trips to Athens to make contact with Kremlin allies. During the second trip, Putin’s also there—to discuss sanctions. It’s his only trip to an EU nation during the campaign. Papadopoulos meets the same men as Putin. #13: In 2013, Trump and Putin’s developer sign a letter-of-intent to build Trump Tower Moscow—a deal requiring Putin’s blessing that only goes forward when Putin dispatches to Trump his permits man and banker. Trump and principals lie about the deal—and events at the Ritz Moscow. #14: Just before Trump’s inauguration, Trump’s lawyer Cohen and ex-Russian mobster Sater secretly meet with a pro-Russia Ukrainian politician to help ferry a secret Kremlin-backed “peace deal” to Flynn, Trump’s National Security Advisor. All involved then lie about their actions. #15: After it’s publicly revealed Russia is waging cyberwar on America, Trump publicly and in all seriousness invites the Kremlin to continue cyber-attacking America if doing so will result in the theft and release of his opponent’s private emails. He never retracts the request. #16: Trump advisors Bannon, Prince, Flynn, Don Jr., Giuliani and Pirro are involved—to varying degrees—in leaking, sourcing, disseminating, and legitimizing a false “True Pundit” story that seeks to use fraud to blackmail the FBI into indicting Clinton. Russian bots pump it also. #17: Trump’s top advisors—including Manafort, Sessions, Flynn, Clovis, Page, Papadopoulos, Cohen, Sater, Don Jr, Kushner, Prince, Dearborn, Gordon, Gates, Stone and others—lie about or fail to disclose Russia contacts or key conversations on Russian efforts to collude with Trump. #18: For many months after Trump begins his run, he is secretly working under a letter-of-intent with Russian developers to build Trump Tower Moscow. The deal—brokered by Cohen and Sater—allegedly falls apart only when Putin’s top aide won’t return an email from Trump’s attorney. #19: In 2008, Don Jr. privately tells investors that “a disproportionate percentage” of the Trump Organization’s money comes from Russia—a fact later confirmed by Eric Trump. Trump Sr. then becomes the first presidential candidate in decades to refuse to release his tax returns. #20: Though he’s fully briefed on Russia’s cyberwar against America in August 2016, Trump publicly denies it—calling the U.S. intel community Nazis—while accepting Putin’s denials he’s done anything wrong and proposing the U.S. create a cybersecurity task force with the Kremlin. BONUS: Though he knows by August 2016 that Russia is committing crimes against America, Trump still lets his top NatSec advisor, Sessions, negotiate sanctions with Kislyak—presumably Trump’s plan for a unilateral dropping of sanctions. This is Aiding and Abetting Computer Crimes. BONUS: During the transition, Trump’s son-in-law Kushner secretly meets with Putin’s banker—after which discussion the two men disagree wildly as to what they discussed, suggesting that whatever the topic was, it was clandestine. Kushner won’t reveal the meeting for many months. BONUS: Advisors to the Trump campaign, including Trump Jr. and Stone, have contacts with WikiLeaks and/or Russian hackers—the timeline of which conversations dovetails perfectly with consequential changes in behavior by one or both of the parties (including Trump’s stump speech). BONUS: When Acting AG Yates warns Trump that Flynn—his National Security Advisor—has been compromised by Russia, Trump fires her and keeps Flynn on board for 18 days. Either he lies to Pence about what he knows on this or both Trump and Pence lie to America about their knowledge. 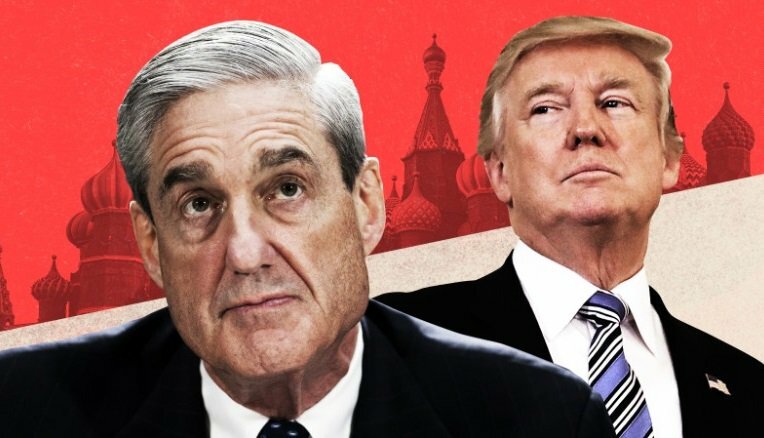 PS: People have long asked me for a one-link summary of what we know—which is only a fraction of what Mueller knows—in the Trump-Russia probe. My pinned thread, viewable with a button-click, aims to be that. If you know *anyone* confused by the probe, please share it with them. During the debates he boldly said if front of the nation and the world, “Russia . . . if you're listening (wink, wink) . . .find those e-mails . . .” I thought then and there he was colluding by his own admission. It's so shocking to me that more Republicans in high offices are not bothered by the Russian involvement in government. I was too flabbergasted. I thought at that moment that he WAS asking them to do it; I didn't even consider that he might already be working with them. Guess I didn't want to consider such evil. Silly naive me. They don't, because it would ruin their power. All of it. I follow seth. He’s very informative. thanks for this. I have had to pull back some, too stressful. I don't think there is a single patriot in the republican party. it's all about power for them. I was watching a CNN documentary on the Reagan presidency today and was stunned to learn that Gorbachev hired an American to run his personal marketing campaign when he was negotiating (and competing) with Ronnie. This is a great summary. When will the Republicans wake up and realize they made a pact with the devil? Just finished a great book about the Obama years called “Thanks, Obama”. by David Litt. He was a speech writer at the White House. Great look back at the successes of Obama.